With 30 years of quality service, Applewood Cabinet Co provides efficiency, loyalty, care and precision in manufacturing custom kitchen cabinets in Bellwood, Illinois. 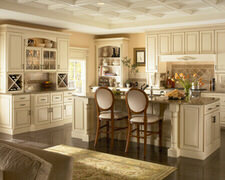 Applewood Cabinet Co is a fully custom cabinet company that works with the largest cabinet manufacturers around. We offer superior quality in craftsmanship, style and service.